The government’s 2018 spending bill has huge gains for child care spending: What does that mean for low-income families? On March 23, President Trump signed the 2018 Omnibus Bill, which funds the government through September 2018. This plan provides for the single largest increase in funding for the child care subsidy program (called the Child Care Development Block Grant, or CCDBG) in the program’s history. Within the plan, federal funding for child care subsidies increased by $2.3 billion to $5.2 billion and funding for Early Head Start and Head Start by $610 million to $9.8 billion. Institute for Child, Youth and Family Policy researchers Dolores Acevedo-Garcia, Pamela Joshi, Erin Hardy and Maura Baldiga teamed up to describe how these changes will impact child care in the U.S. and how their own research on child care subsidies in Massachusetts fit into this policy landscape. 1. The 2018 Omnibus Bill is notable for significant increases in early childhood education (ECE) spending. In a year of few bipartisan policy victories, this stands out. What are the factors that drove this budget increase? This expanded funding will significantly increase access to child care for low-income children, especially since the child care subsidy program currently only serves 15 percent of eligible children. Although debates along party lines dominate D.C., child care currently has bipartisan support for several reasons. Currently, policymakers are concerned about labor force participation and are considering new work requirements for eligibility to certain federal programs. Child care and other policies, such as family and medical leave, are crucial work supports for working men and women. Extensive research shows that child care and family and medical leave facilitate parents’ employment. Without affordable care arrangements that meet families’ needs, parents cannot work. By bringing down the costs of paying for child care in the private market, child care subsidies address the fact that child care, particularly full-time center-based care, is unaffordable for the average parent who works full time and year-round. Our data show that the average full-time, year-round working parent would spend one tenth of family income on child care if they sent their children to full-time child care centers, or over a quarter if the parent is low-income. Lastly, the child care subsidy program is riding a wave of increasing awareness of the importance of early childhood education for children’s healthy development and economic outcomes later in life. Early childhood education programs have had bipartisan support for many years, although these programs are not fully funded to serve all eligible children. 2. What impact will this additional funding have, and on whom? Since the child care subsidy program is funded by a block grant, states have a lot of latitude about how much of their grant funds will actually be spent on child care slots. So it’s hard to say the exact number of additional children that will be able to access child care. The recently reauthorized child care subsidy program mandates a focus on improving child care quality. Since the program does not provide funding for every eligible child, states have to balance increased access to child care with improved child care quality. With the additional funding, the Center for Law and Social Policy estimates that states will be able to serve 151,000 more children, which is crucial since the number of children served by child care subsidies today is at its lowest point in 17 years. 3. Tell us about your study of child care subsidies in Massachusetts. Child care subsidies are a crucial support for low-income working families who struggle to afford the high cost of child care in Massachusetts (and across the U.S.). Stable receipt of subsidies helps families maintain reliable employment and care arrangements for their children, but research shows that burdensome administrative policies can interfere with subsidy receipt. Historically, working parents were required to continuously report changes in their work and family circumstances, in person, often at under-resourced administrative agency offices. This makes securing appointments a challenge, and at times can disrupt parent work schedules. 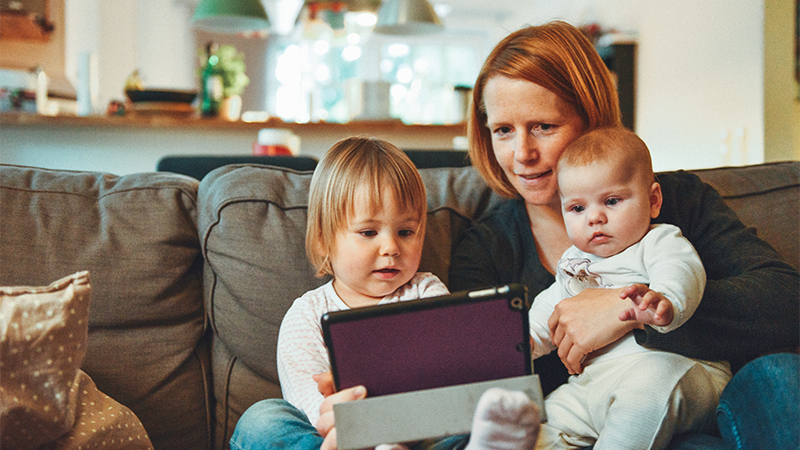 We are conducting a study in Massachusetts that evaluates the impact and implementation of state administrative policy changes that affect how families reassess their eligibility for child care subsidies. Our study examines changes implemented in 2012 that were designed to make the process more “family friendly.” The 2012 changes allow parents who are working or in school to reassess directly with their child care providers (rather than at the regional agency office), reducing administrative barriers for families. Because the policies applied only to families whose children receive care from providers with state contracts to provide subsidized slots, it presented a unique research opportunity to study stability patterns in two groups--those who experienced the “family friendly” change, and those who did not. 4. What are your key findings, and how do they fit into this policy landscape? We find that the changes had a positive impact on families’ stability of subsidy receipt. One initial finding is that families are most likely to exit the subsidy system in the same month that they are required to reassess their eligibility. We also find that families in their “reassessment” month are more likely to continuously receive subsidies if they experienced the “family friendly” change (i.e. the families that reassess eligibility directly with their child care providers instead of the regional agency office). By conducting in-depth interviews and observations with child care providers, regional agency office staff and families, we also find a high level of variation in how the state administrative policies are implemented, and also in how families experienced the policies. Both sets of findings are extremely relevant to the current national child care policy landscape. While states are required to implement family friendly eligibility policies, as a block grant program states design and implement their own policies within broad federal guidelines. Lack of research evidence leaves many states looking for models and evidence about effective “family friendly” approaches. Our study offers much-needed evidence about a set of stability-promoting, low-cost state administrative policies that other states may consider adopting. Moreover, our in-depth implementation research is of high value and relevance to other states, as it reveals the many complexities and variation points that states need to consider when implementing new administrative subsidy policies. This study also offers lessons that are broadly relevant to social programs that support working parents. Our research illustrates how policies can be more effective when policy designers intentionally consider the complex circumstances and barriers that low-income working families face on their pathways to greater economic self-sufficiency.